The freshman in the Shore Conference this season was as deep of group as we have seen in recent years. But what is even more surprising about the 2014 group is that they played major roles for their teams in big games and more importantly in crunch time. 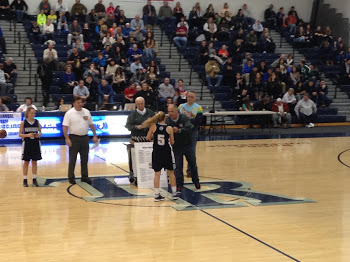 Players like Josie Larkins of RBC for example were asked to take big shots late in games. Hannah Scanlan of RFH at one point early in the season carried the RFH offense at moments in games. Rare is it that a freshman can deliver in these big moments. Jackie Kates was the most polished freshman I have seen in recent years. This year’s FRESHMAN OF THE YEAR…fits that same mode. , but she just may be the best freshman point guard we have seen in a long time, so you better enjoy every moment. Last summer Stella Clark had the weight of the world on her shoulders, because she had to choose a high school. For most kids moving from grammar school to high school it’s an exciting time, not a stressful time. But not all high school students are blessed with the athletic talents of Miss Clark. The lighting quick point guard is from Wall and at first it looked like Wall would get the future D1 point guard. When she decided not attend Wall, I saw a sadness on her face, why? Stella Clark is a good kid who doesn’t like disappointing people. Stella Clark was part of the elite and insanely talented Masonius Wildcats AAU team which features 8-10 future D1 players. That team was used to winning and playing against the very best. So people started saying it was St. Rose that was going to win the Stella lottery. Joe Whalen played the exact style that Clark likes to play fast and daring and they were going to be real good. But in the end don’t families always stick together? So Stella Clark decided to attend Manasquan with her cousin Addie Masonius. Addie and Stella are best friends and to say there is a bond between the two would be ahuge understatement to say the least. They have been teammates for what seems like forever, both families are close and it only made sense, they would stick together. When Stella Clark told me she would be attending Manasquan here is what she said to me “Me and Addie are going to Manasquan” It was the first time in a while her eyes had the spark again and I believe it was because she finally had a home again. 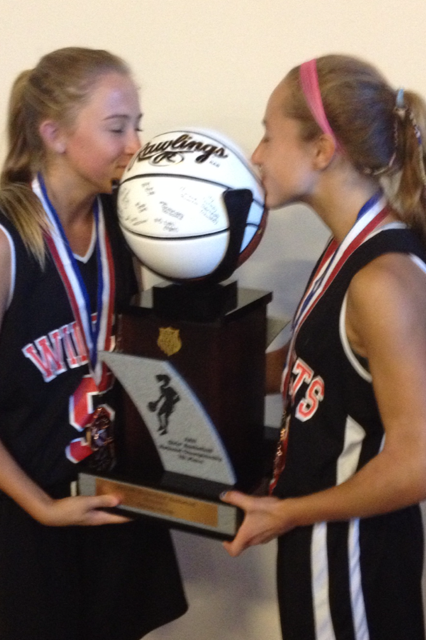 STELLA CLARK AND HER COUSIN AND BEST FRIEND ADDIE MASONIUS AS WILDCATS …WINNING AGAIN! During the season Stella Clarke hit so many last second and big shots and I can’t list them all. She did this on the big stage over and over. But if the truth be told it was what she did in the SCT vs. SJV that most will remember her for this year. 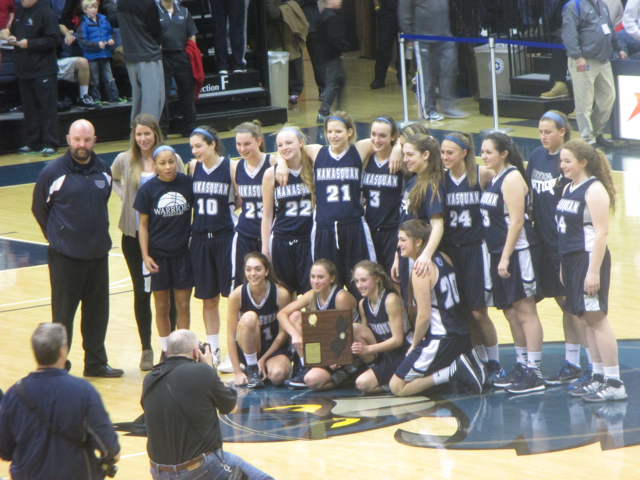 With Manasquan down late in the 4th quarter it looked like the SCT dream was over for Squan with 2 minutes’ left. But that’s when Stella Clark went into overdrive with that special motor that only she has. While everyone on the court looked dead on their feet. Stella turned the heat up on EVERYONE. She hounded and pressured the stud SJV guards into not one but two huge turnovers. Then she ran down loose balls and made passes that would make any young girl blush. She simply put SJV on her back and allowed Courtney Hagaman a chance to be a hero…They say a baby will lead and on this night, a baby not only led, it delivered in the most impressive fashion, since…well JACKIE KATES and you have to wonder if the SJV fans were thinking the same thing, except Jackie Kates was on the other side. This year’s class is one of the deepest we have seen in years. You must keep in mind, in many cases top freshman are not given the opportunity to play. There are 4 Division one level freshmen not on this year’s 1st or 2nd team. The reasons these freshman did not get playing time, range from upper classmen being ahead of them in the rotation to coaches simply choosing to play upperclassmen. The coach who plays freshman is always in the bull’s-eye of parents and teammates of the less talented upperclassmen who sits. They are a number of talented freshmen not on this list as well for other reasons, why? Because I simply did not see them play or the rare time I did… they did not play well. If a freshman plays for a top team, mostly likely I have seen them play often and its gives them more chances to perform well. I would like to say I picked 6 players on the first team because all SIX deserve to be on the 1st team and why penalize a kid who has earned it? 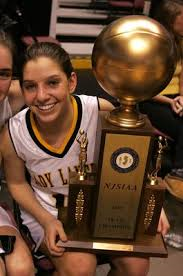 Sidney Coffaro no question for my money was the surprise of the group and this young lady has a chance one day to do even more with her talents…SJV has another freshman who is not on this list because she simply did not get enough minutes. Hailee Hallard name has come up on number occasions this year for example, but I did not see her play this season. So it doesn’t mean the young lady isn’t talented it means I did not get a chance to see her. I’d like to say one more thing to parents and kids, being all freshman is nice but remember competition in practice is way more important LONG TERM, so don’t be afraid to let you child watch and learn. For example playing against a Kelly Campbell, Kelly Couch, Jackie Gallagher, every day in practice, may be better long term than winning awards and racking up numbers. Freshman everywhere need to know these freshman are rare in that they got a chance to PLAY but it doesn’t mean they are going to be the best players in the shore 3 years from now…Competition ,Development, Work Ethic, Attitude and the ability to get along with teammates and friends will determine that.